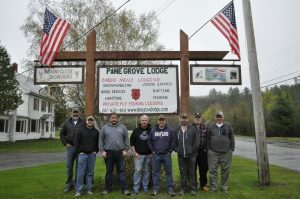 This event is offered annually at Pine Grove Lodge, next class being May 4-6, 2018. Spend the entire weekend with Lanny and Shane Benoit, along with their assistants and possibly a film crew. Learn all their tricks and tips on how they have been, and are still, so successful. You will learn some in a classroom setting, but most of it will be hands on, in the woods, looking at deer signs while they explain what they can tell from the signs. 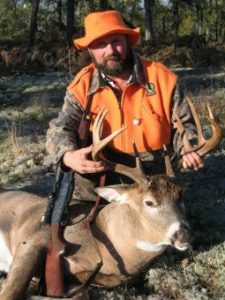 You will also need to bring your deer hunting weapon and ammo because you will spend a fair amount of time practicing your shooting skills with the Benoit Brothers. 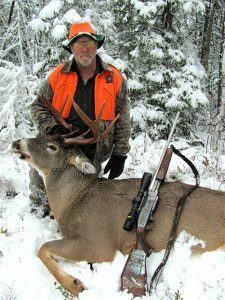 This package is all-inclusive of the class with the Benoit Brothers, 2 nights’ lodging, and delicious, home-cooked meals from Friday nights’ dinner to Sunday mornings’ breakfast. $400 down at reservation, remainder due by April 1, 2018. All payments non-refundable. Deposits transferable only to a replacement if you cannot make it, but not to someone already booked to participate in the class.